Some of you may remember that last year during WOVEMBER we featured a Q&A with Marion Woolcott about WOOLFEST? 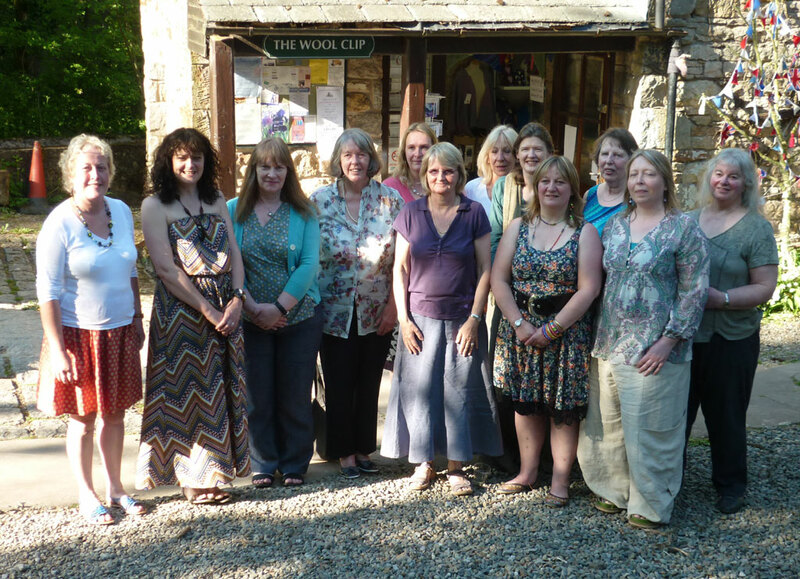 WOOLFEST is organised by The Wool Clip – a co-operative of 15 members who share the work of running a shop through which they are able to sell their woollen goods. 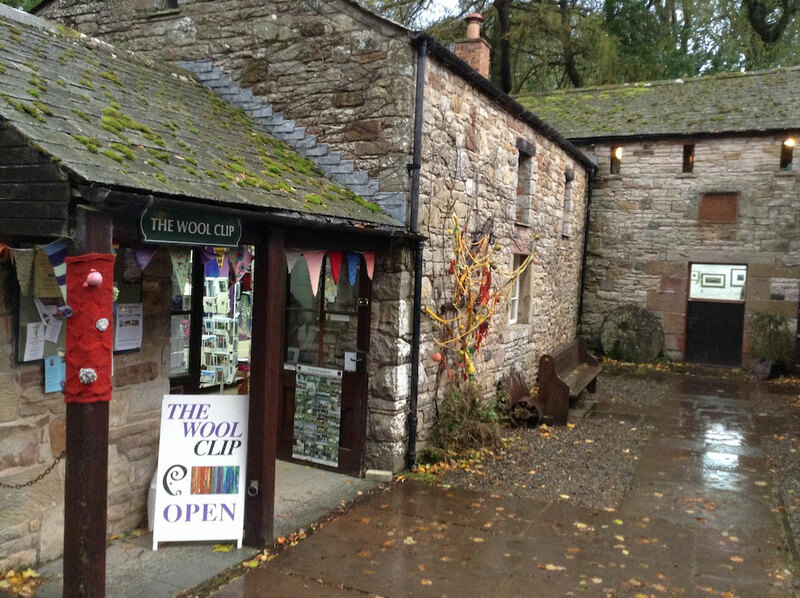 Based in Cumbria, members of the Wool Clip are mostly shepherds as well as being talented craftspeople, and many have a hand in each stage of producing woollen textiles, from growing wool on the farm to putting a price tag on finished goods and popping them on the shelf in The Wool Clip shop. 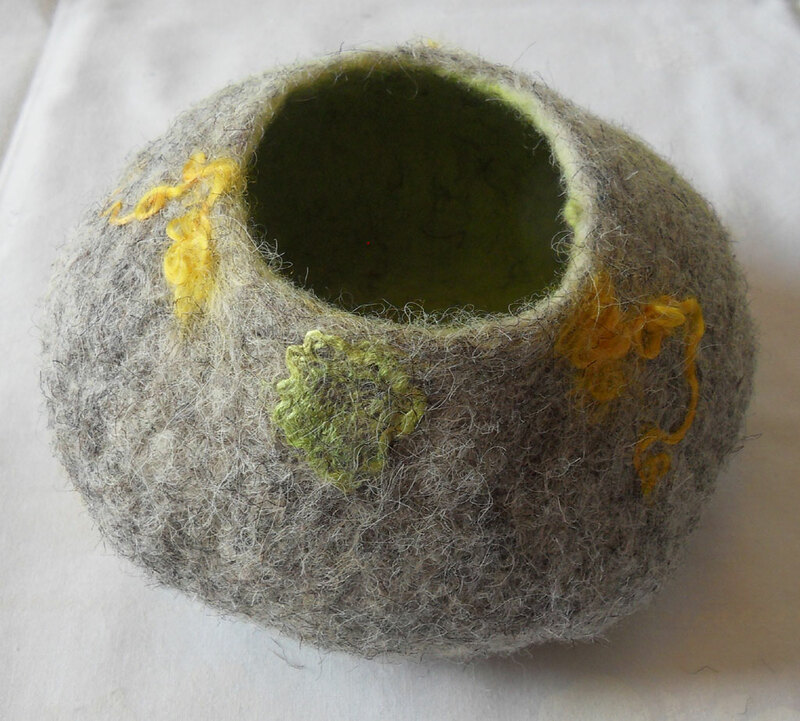 Here to talk about the work involved in growing wool in Cumbria is Pam Hall, shepherd, weaver, felt-maker, yarn-dyer and Wool Clip member. All images unless otherwise stated kindly provided by and © Pam Hall. 1. Could you tell WOVEMBER readers a little bit about your flock? What sort of sheep do you keep and how many do you have? 2. 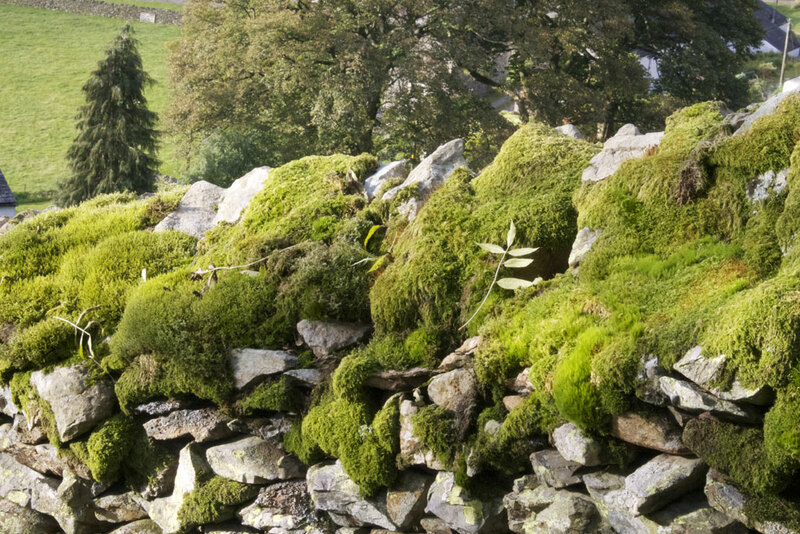 Could you say a little bit about the landscape where Fornside Farm is situated, and whether there are practical reasons why the Herdwick breed is especially appropriate for the context of the Lake District? 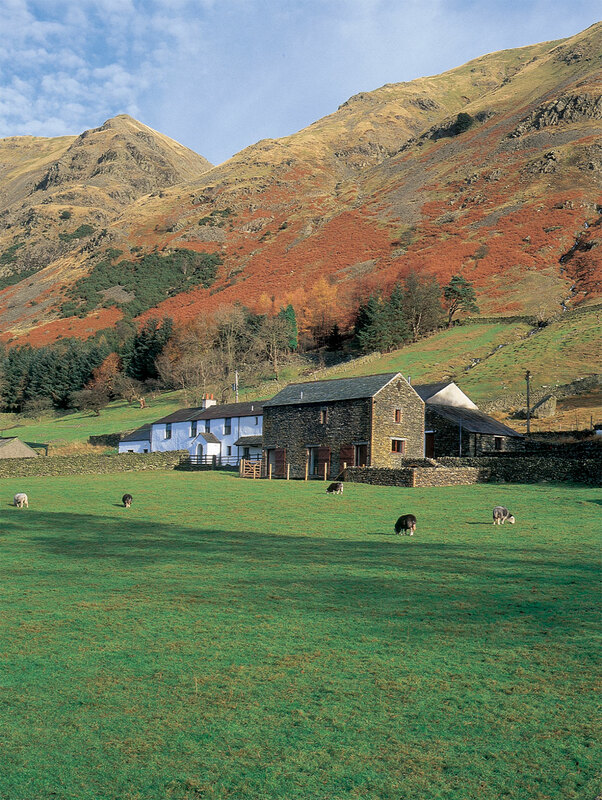 Fornside Farm is situated in St John’s in the Vale near Keswick. It’s a typical 17th century hill farm although it has been settled certainly since the 10th century as its name is Norse in origin. The fells rise steeply to 3,000 feet behind the farm – the most productive part of the farm are the hay meadows on the valley floor but we also have rougher grazing up the lower slopes of the fells. The winters can be harsh and the Herdwicks are the most hardy sheep in the British Isles, well suited to the cold and wet winters and they thrive throughout the Lake District. Key to their hardiness is their wool which is a thick coat of relatively harsh wool that repels the weather and keeps the sheep warm through the worst weather. 3. What are some of the challenges associated with keeping this breed and finding markets for their wool and meat? And have you come up with any creative solutions to overcome those challenges? The main challenge with keeping Herdwicks is that they grow slowly. They are generally not finished for meat until they are at least a year old so we keep the lambs through into their second year. However the wait is worth it as Herdwick meat is prized as a local speciality – it has a fantastic flavour and texture if left to grow slowly – our lambs rarely eat anything but grass – we wait for nature to take its course before selling them for meat. All our lambs are sold direct from the farm to the consumer. In terms of wool, Herdwick attracts the lowest prices form the British Wool Marketing Board – at present only 10p per kilo so many farmers burn their wool as they cannot afford to transport it to the depot. We have had to find our own market for the wool which has many great qualities if presented in the right way. I was one of the co founders of the Wool Clip and that was formed in order to find a market for our wool products. There are now 15 of us in the co-operative and I sell a lot of my produce through our shop in Caldbeck and also of course Woolfest. 4. Like so many members of the Wool Clip you are a shepherd, and also a maker. Do you think that the kinds of things you weave and make from felt are influenced by the work you do as a shepherd? Do you have an example you could talk about of something you have made which was directly inspired by your day-to-day work managing a living flock of sheep? 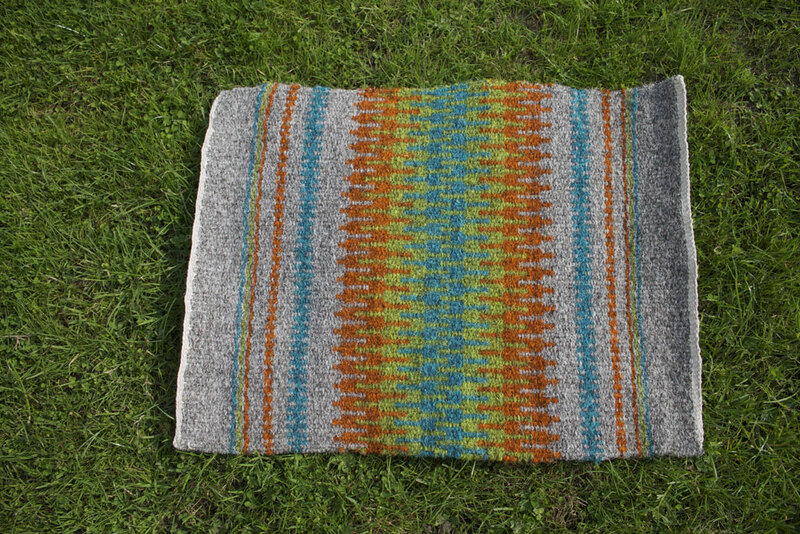 The things I make are driven by the nature of the wool and also the colours in the landscape. The colours here are just stunning at all times of the year but particularly outside the summer months. 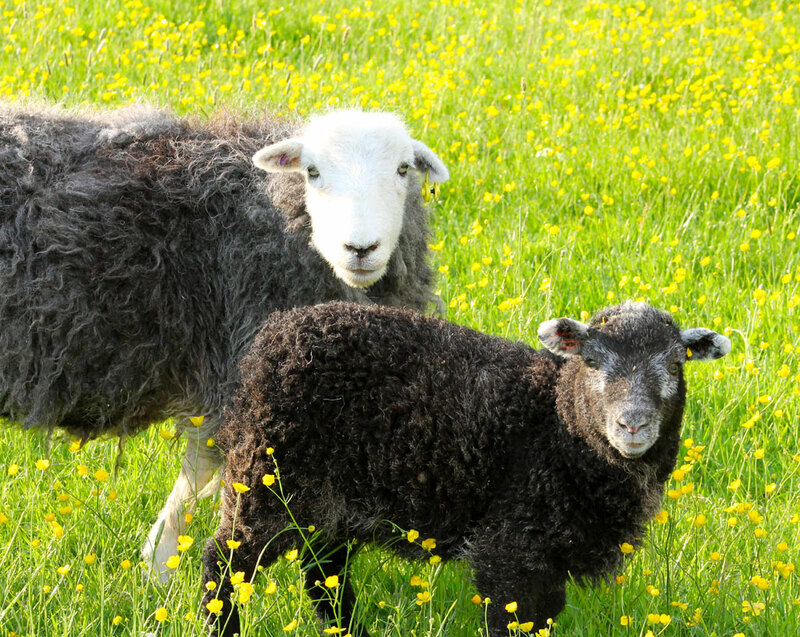 Most (but not all) of my work is with Herdwick which comes in a variety of grey colours and also dark brown. 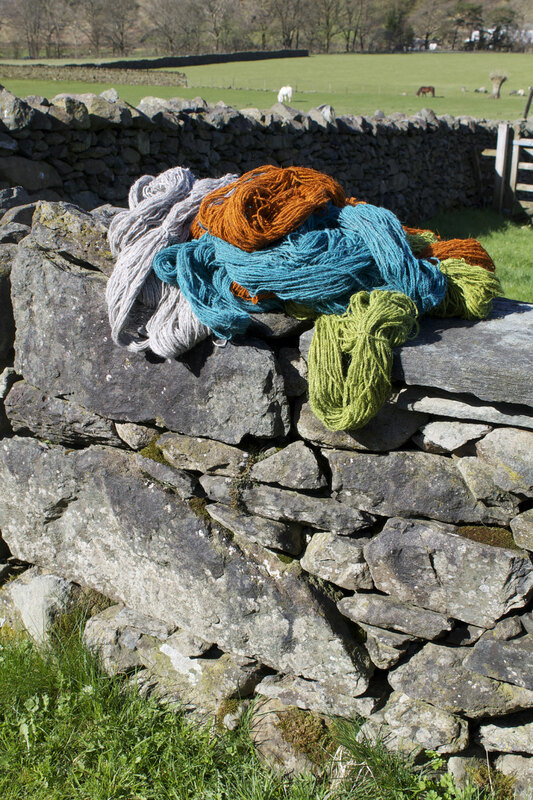 I introduce a lot of colour with the natural colours, particularly lime greens but also other landscape colours such as blues and russets which just look stunning alongside the natural colours of the fleece. 5. I am not sure whether it is considered some sort of farming faux pas to have favourites, but have there ever been any sheep which you particularly held a fondness for? We don’t normally give anything a name that might end up on the plate! There are always a few sheep on the farm that have names or reputations! Usually they are ex pet lambs but sometimes just sheep that are particularly striking either in looks or temperament! 6. When I visited you, I was struck by the enthusiasm and liveliness of your sheep dogs. Could you say a little bit about the work that they do on the farm? We have 1 main working dog and three that could do more work but mainly compete in dog agility. I don’t know how we’d cope without a dog to work the sheep. The sheep show a dog infinitely more respect than they do humans and it would be virtually impossible to gather the sheep in without a dog. The dogs are very intelligent, quick to learn and keen to work – there’s nothing they’d rather do than herd sheep! 7. What will be taking place on Fornside Farm this Wovember in terms of the day-to-day work involved in GROWING WOOL? Well the tups are doing all the work in Wovember. We’ve just put the tups to the ewes and we try to leave them alone as much as possibly during tupping time. The tups go in at the end of October so that most lambing occurs in April when hopefully the weather will be getting a bit warmer and the grass thinking about growing again. There is still lots of grass in the fields but as the temperatures drop there will be little more new grass now until the spring so this years lambs are eating fast so that they have enough condition to take them through the winter. Thank you so much for telling us about your flock, Pam! WOVEMBER readers can read more about Pam’s work here, here and here.